Realizing that you have a leak somewhere on your property can be very disheartening. Worse again it can become very expensive if you don’t react to the issue straight away. ADI engineers use only state-of-the-art leak detection equipment on how to find leak in central heating system and at very competitive prices too. Our highly skilled engineers can locate any leak anywhere on your property – either above or below ground. We understand how much you value your property we only allow our engineers to work in the field once they’ve passed a series of certifications to prove their aptitude for the work. This means you can hire an ADI leak detection expert to work on these potential situations for you. 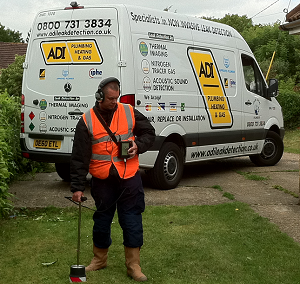 ADI are also available to serve customers living anywhere in the UK. Our staff are waiting to take your call right now on 08007313843 – why not put your mind at ease by calling us.